Our email marketing blog puts out a lot of content these days. On any day you could peruse our site and quickly deduce that email marketing must be a science. We happily break down advanced e-marketing techniques. We cheerfully offer specific tips geared towards specific industry verticals. We take great pleasure in presenting the latest email trends that are effectively implemented by businesses big and small. All this glee throughout the week and now it’s Friday, so that brings a smile on its own. What could possibly make our good mood better? The Copacabana, I say! In June, Mr. Manilow is supporting the release with in-store signings and television appearances. How do I know this? 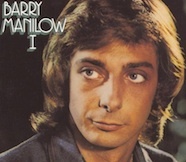 One of the official websites for Barry Manilow (ManilowUK.com) does their email marketing through Benchmark. I don’t ever want to assume I know someone else’s job, but it’s easy for me to imagine that the person who writes Barry’s fan club newsletters has no problem coming up with great content when the subject of their email promotion is such a hard working, never-ending fountain of talent. Boom, email opens across the world! What’s This Have to Do with Your Marketing? What, you have a dog named “Mandy”? You never wooed back your significant other with the lyrics to “Can’t Smile Without You”? Your favorite time of day isn’t “Daybreak”? Shame on you! But okay, the point is that if you really want to be the most effective email marketer, you need to have something great to promote. You want a great newsletter? Make news first. The emails tell the story, but the story doesn’t write itself. Great products, great actions and a great amount of work makes writing about exciting happenings simple because you’re just putting down what’s really happening – and what’s happening is interesting all on its own. Dear Barry: Thank you for your many hits, your awesome positive demeanor and your concert special that taught a very young kid that advertising was a perfect back-up plan for music. Oh, and thanks for reminding us all that email marketing works best when there’s something magical to write about.